Elegant design, available in Black or White, perfect for every vaper. 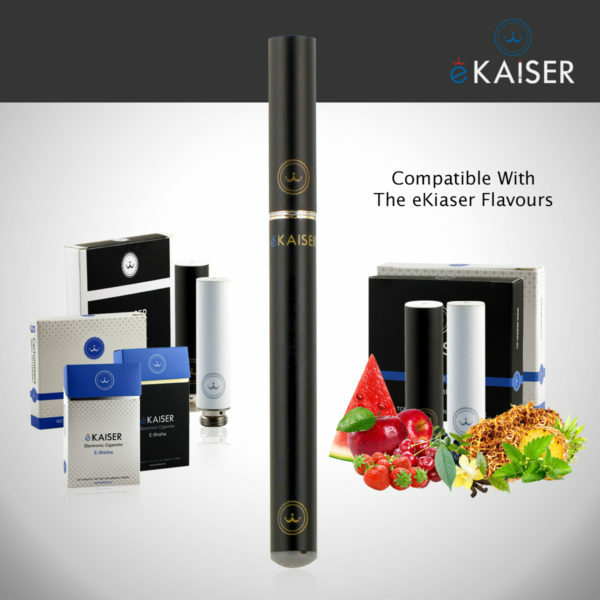 With its “real cigarette” size, the “ash glow effect”, caused by the LED light, and the Automatic Inhale Activation, eKaiser makes your Vaping more realistic. 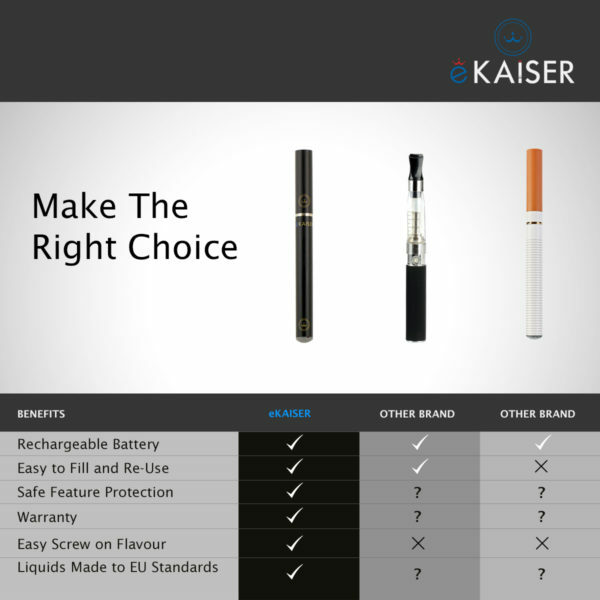 Why chose the eKaiser E cigarette? 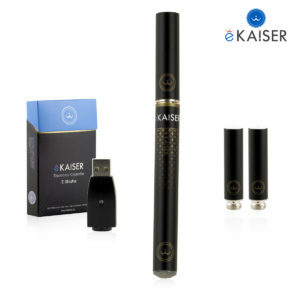 The eKaiser Rechargeable Eshisha/E cigarette is a perfect entry point to the world of vaping. 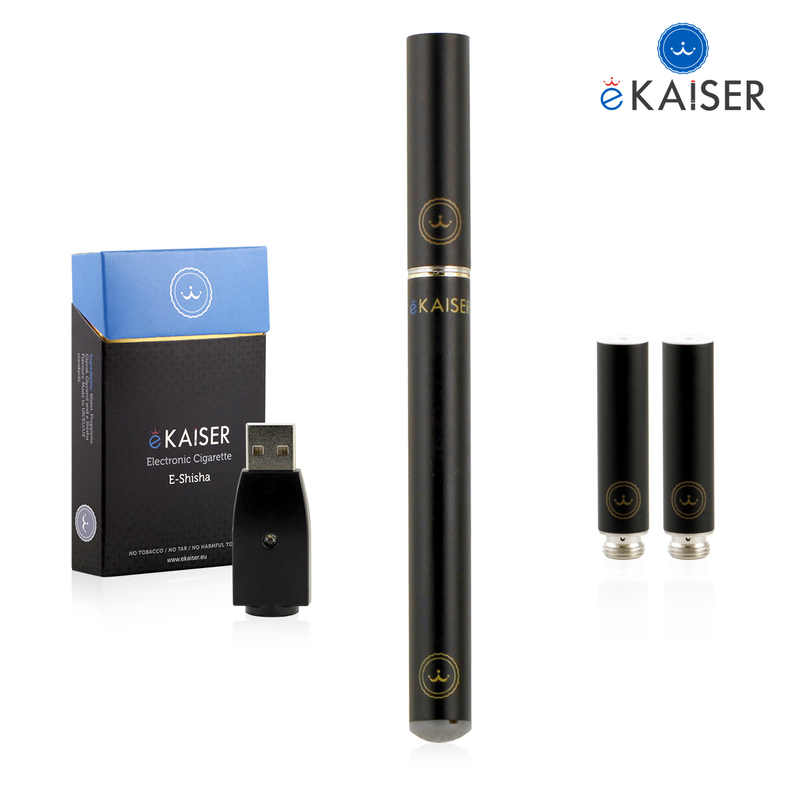 The Kit comes with a rechargeable battery 180mAh for longer use then most e-cigarette batteries of the same style. Easy to use USB Charger and 2 new and improved cartomizer flavours. 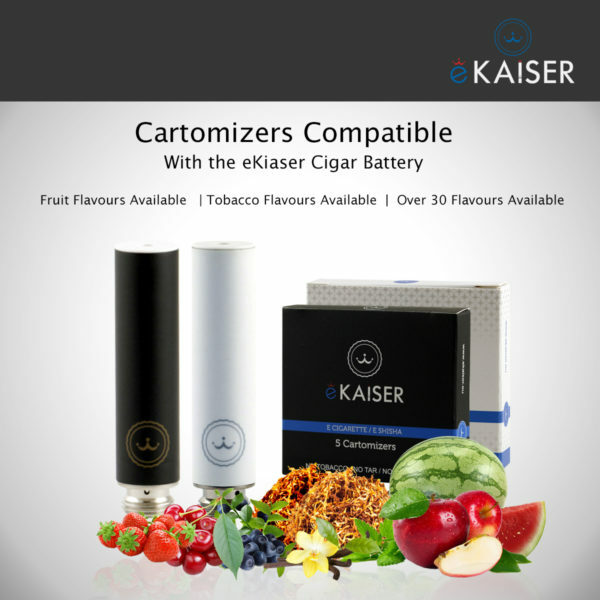 The battery is available in a white and black on Amazon and many eKaiser cartomizer flavours also available on Amazon. Full Warranty and customer support is provided with the product. Bought this to try and cut down smoking. 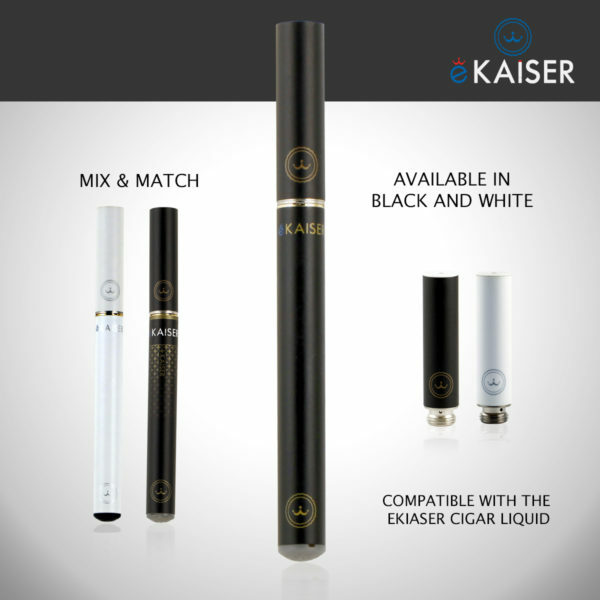 The cigarette is small sleek and compact. It fits easily into your bag or a top pocket in any garment. I like it because it gives out the perfect smoke. It is like holding a normal cigarette. The cartridges are so easy to attach, no mess or leakage. Very elegant. Just like smoking real cigarettes. Have a number of friends very impressed. Just like smoking a real ciggy with only three times the weight and a completely different colour. I like it. I really like this one. More for quick and easy smokes, hassle free. 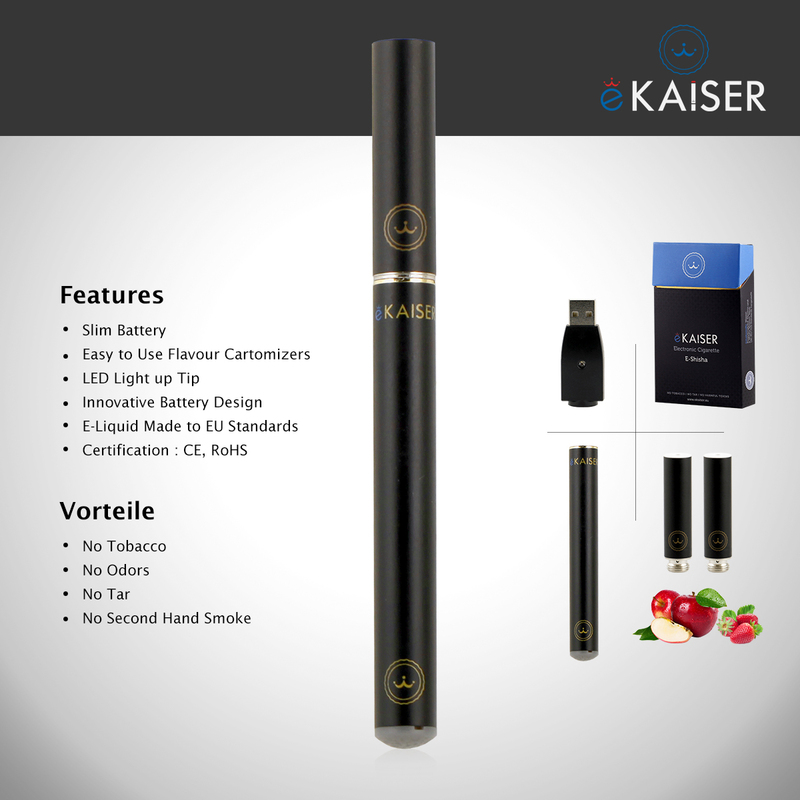 The cartridges are easy to use, just screw in and start smoking, no need to push a button or refill with oils. 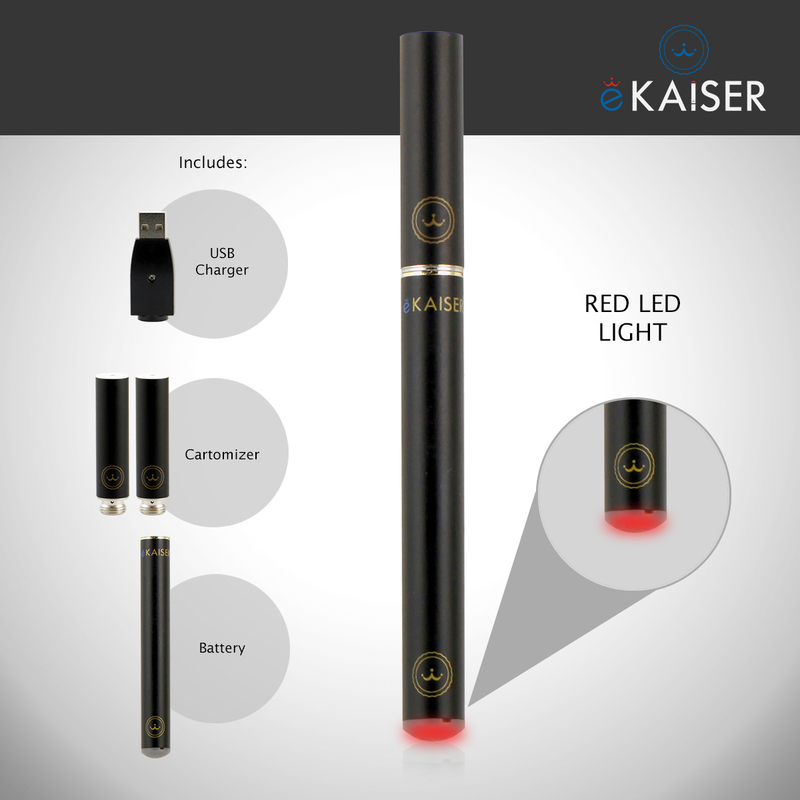 Feels more like a cigarette with a nice red glow at the end of the tip. Nice variety of flavors. Easy usb charging.